There are times in life (at least in the lives of fashion lovers) when a particular item of clothing seems so acutely beautiful that for a split second, everything else ceases to matter. This is one of those times. 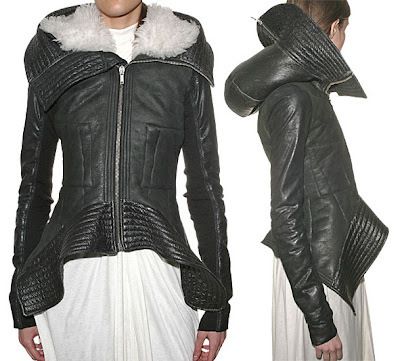 Rick Owens has a tendency to bring out clothing related carnality in me, but this particular piece is special. Being functional, beautiful, and warm, it checks out in 3 of my top 4 categories. Unfortunately, like so many other coats I have loved, the price is astronomical. Posted by la femme at 6:30 p.m. I'm sorry, I just have to tell you...I look at that coat, and all I can think is "meat flaps." I think there are a few other options you should consider before transferring your desires to your dreams. First, theft should not be ruled out; it's cheap, sometimes easy, and even if you get caught it would make a great headline. Indeed, you could become the Robin Hood of fashionistas. Second, perhaps a wedding list. I know you're quite young and all, but these days divorce is pretty quick and easy. You could be the first couple to list fashion items rather than pots or pans, but why not? Third, you could cheaply replicate it in China. It's true that it wouldn't be original or as well made, but for the walking down the street effect it would work fine. I've used one of these strategies myself to obtain an object of desire, but I won't way which! P.S. Notice that the item is "no longer available" at the web page. You snatched it?! While there is nothing sacrosanct about the coat, if la Femme is seen at dusk on the frigid Laugevegur, especially if surrounded by Putti and in a cat–drawn chariot, she might resemble Freyja. Yes, there might be striking resemblance. And if the cut of the coat had a few simple modifications Hafrun (or I) might also like to be wearing the coat. 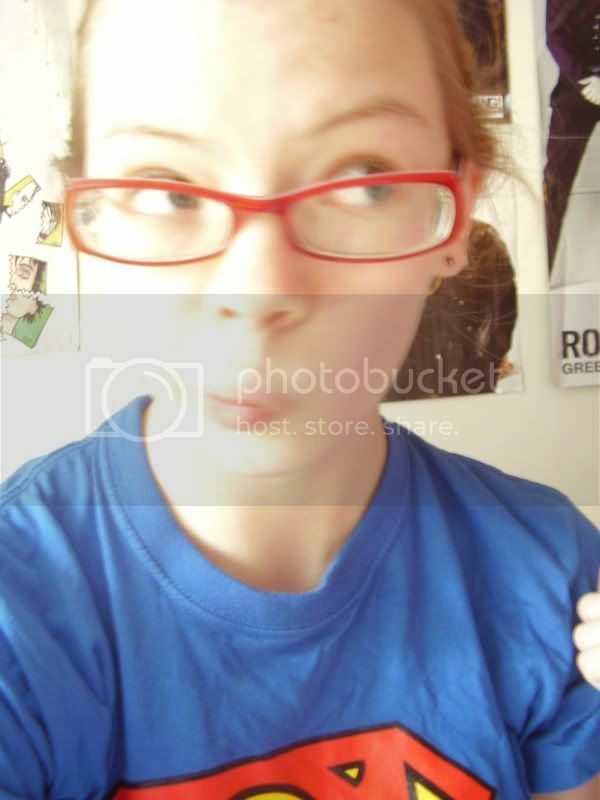 tasha: It would be a very dull world if we all had the same opinion- fashion related or not. bb: Thank you for the suggestions :) And, yes! It does seem to have been snatched up. i love this. it's a gorgeous jacket... and no worries love,this one may seem out of reach but the right jacket will come along someday! Aw, man! Of all the beautiful jackets, that one... it's a work of art! Not sure about the hood though. The thing I look most is how great it looks with that dress underneath. The sleeves are the best. that's the funkiest leather jacket i've ever seen! I think that if I wear the coat I'll be feeling tiny tiny tiny. Mwah.. the coat isnt between my lines, i dont like the leather and the shape is plump dont you think so too? I wouldn't wear it. it doesn't match my style. but it looks amazing. i have to say. I love how Rick Owens' work is recognizable in about .2 seconds. I also love that when I saw this jacket, I thought it was made for you. Perfect taste as always, A.
I've been coveting that same coat! oh.... i love rick. rick rick rick. everything he makes is just too gorgeous and this jacket is beautiful.